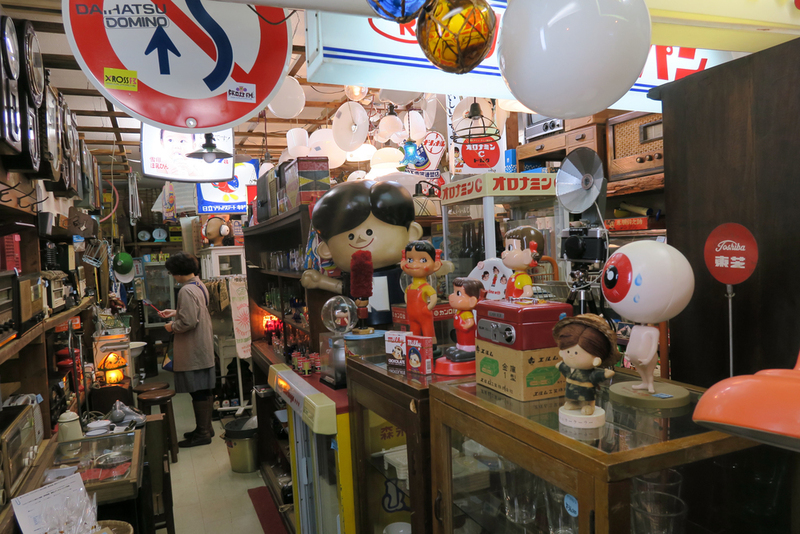 Antique shopping in Fukuoka. Antique and Recycle Shop Katsu is a small shop but packed with retro goodness. We bought some retro Mitsuda-Cider glasses an a Monkey(Saru) Vinyl Coin Bank for Kyouwa Bank.